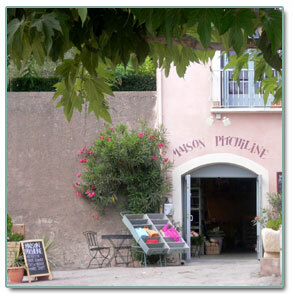 In the SHOP of “Maison Pitchiline” you can find objects from the whole world but also from nearby. More than a thousand of references, selected one by one, share the space on the celadon-tint wooden racks. The aim is to present objects with a meaning, because they are beautiful, or because they are funny, or smart, touching, useful, intelligent, educational…..
You can even get a fresh soda. Maison Pitchiline” is open almost all-year-round, even though Tuesdays are “off-days” and the shop is closed during January.